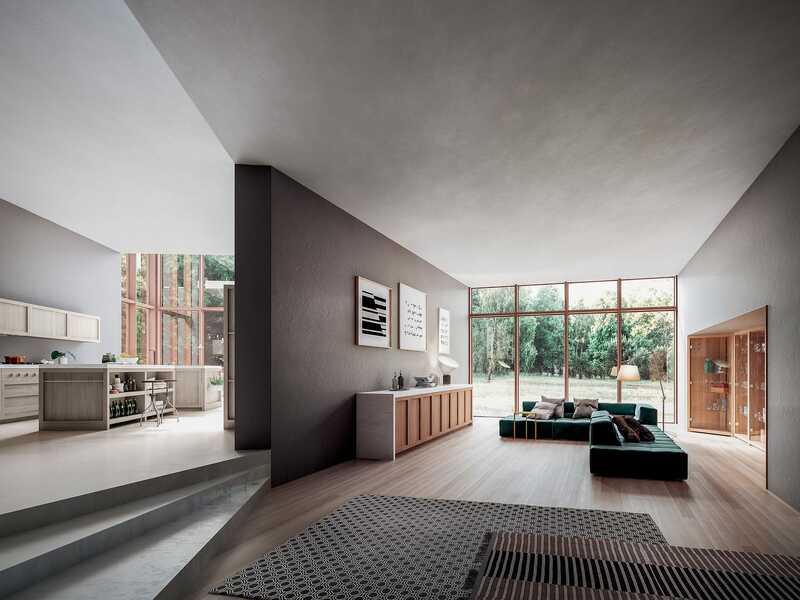 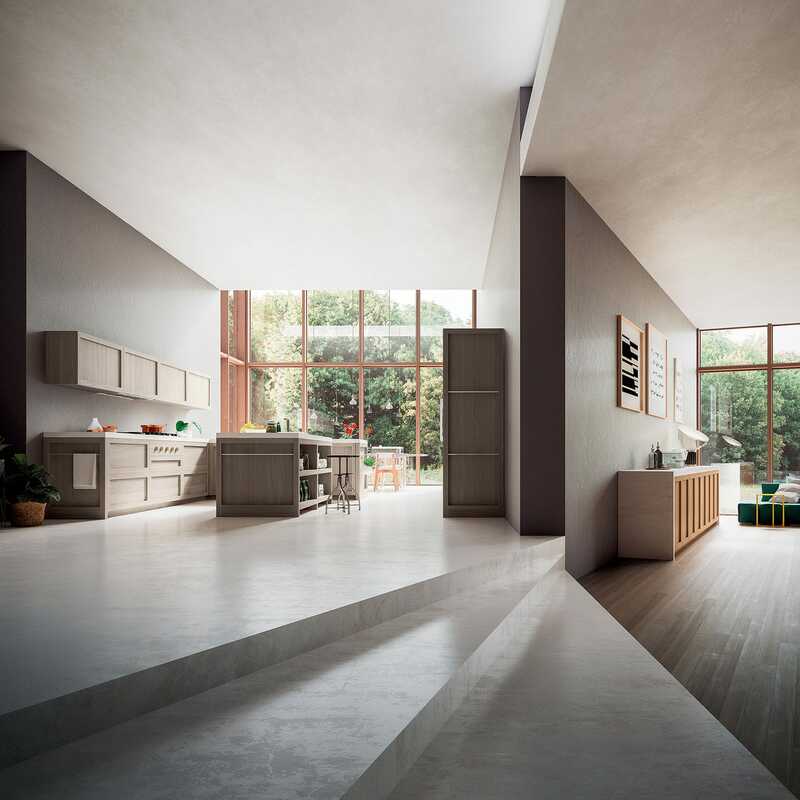 Legno Vivo 2.6 takes its name for its main detail: the 26mm (1 inch) thickness of the doors; this collection is also designed by Roberto Pezzetta. 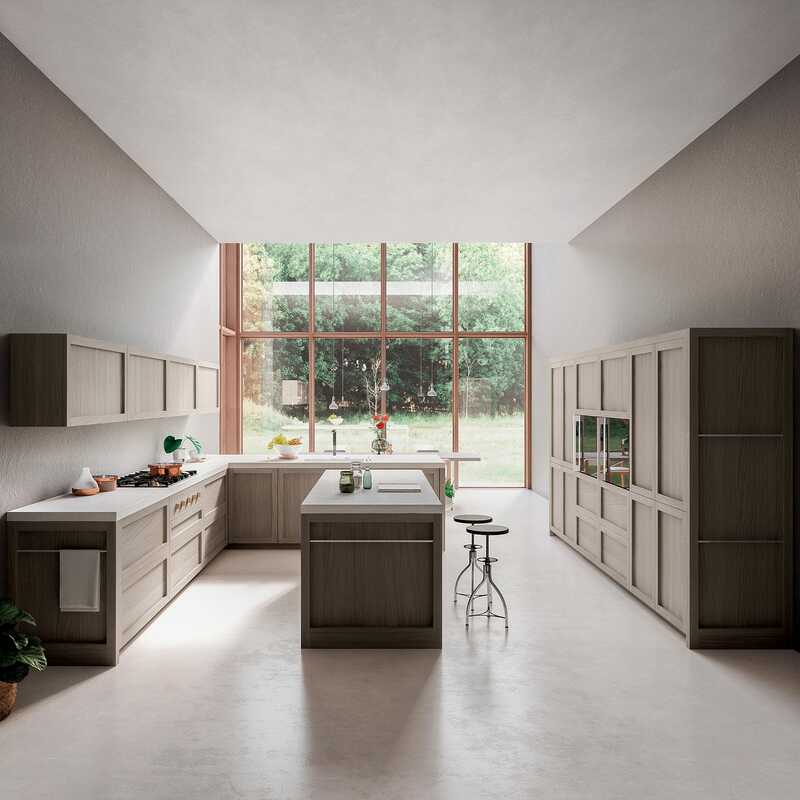 Unlike the original model with 36mm (1 1/2 inches) door thickness and cabinets and drawers all made of solid wood; this version aims to meet the design needs of the market, with the option to use the entire GD Arredamenti standards, H 72cm (28 3/8 inches) and H 84cm (33 inches) base cabinets. 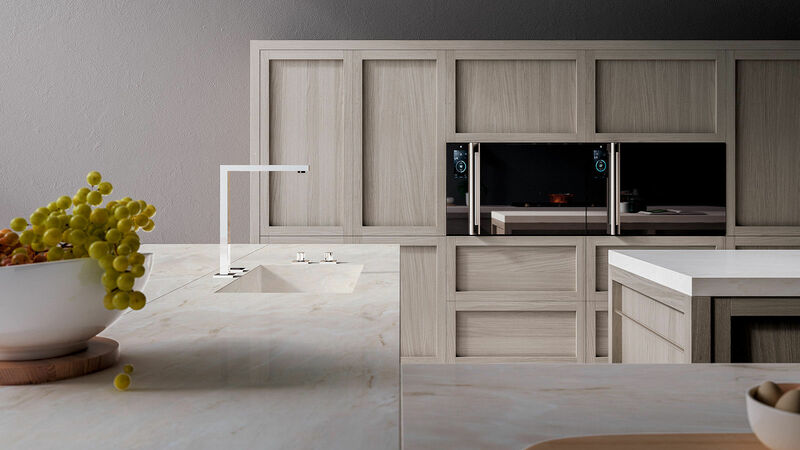 In this project, Legno Vivo 2.6 units are used for the living area as well for the kitchen, in order to give to costumers and architects a full range or products and options for their projects. This is all doable by the manufacturing know-how of GD Arredamenti. 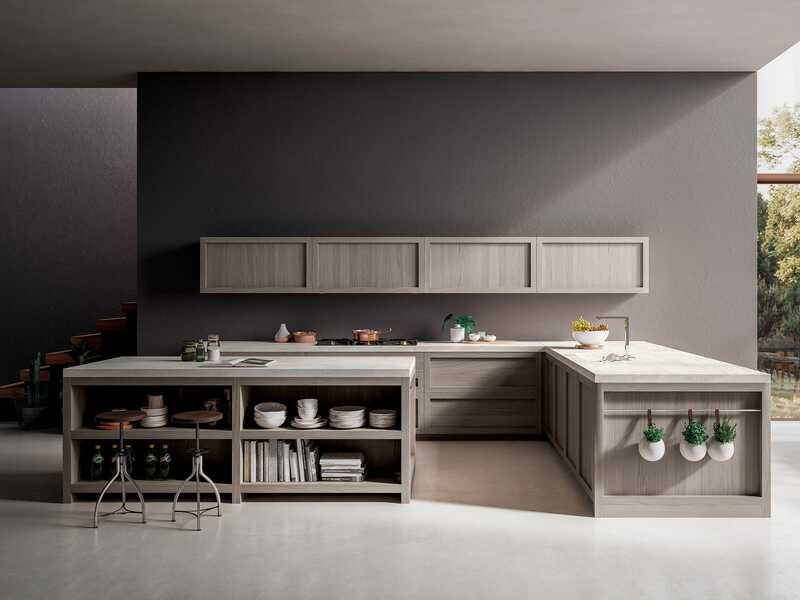 The collection is available in Oak wood, with a natural finish or in a range of 7 stain colors.